When outfitting your office with furniture, you need desks, conference tables and filing cabinets. You will also need the right seating for every space within the office. It may seem like a small thing, but the chairs that you choose impact on the comfort, productivity and happiness of your employees. The right chairs will also affect the way your business is perceived by your clients and other visitors. Here are three types of chairs that every office space must have. Head of organizations generally do not spend the entire day at their desks. Their office is more like a launch pad for the day than a space to spend time in. That said, top executives and managers must convey a strong, professional image at all times. The scale of the desk and chair, is a direct reflection of their power and position within the company. The materials the chair is made from are also related to the person’s position. 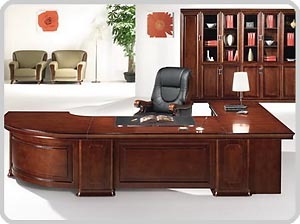 Therefore, larger chairs made of leather, wood and other high-end materials are commonly used by business leaders. Since most office workers spend anywhere from six to eight hours a day at their work stations, comfort is extremely important. Therefore, easy height adjustment from a sitting position as well as firm lower back support are imperative. In addition, task chairs need arm rests to avoid fatigue and repetitive stress injuries. General task seating is the most and cost-effective way to keep employees comfortable and productive throughout their workday. From the moment clients and other people enter your office building, they begin to form an opinion about you. A good first impression will go a long way towards forming long-term relationships that are positive. The guest seating within your offices is also extremely important. Good seating shows your clients that they important to you and that you care about their comfort. It’s not just the padding on the seats, it needs a supportive back and arm rests as well. Conferences, employee training sessions, meetings and other business functions need a different type of seating than day-to-day tasks. Very often, these types of functions require a large number of chairs in a small amount of space. For these applications, stackable seating is a good choice. Storing them is easy since they stack up neatly and take up very little horizontal space in a closet or storage area. Choosing the right type of chairs for your employees and guests is extremely important. Every person that spends time in your office deserves comfort. Contact us to find out more about office seating options! We’re always happy to help.